Welcome to another thrifty week at Harvest Lane Cottage. I am glad you've found me! 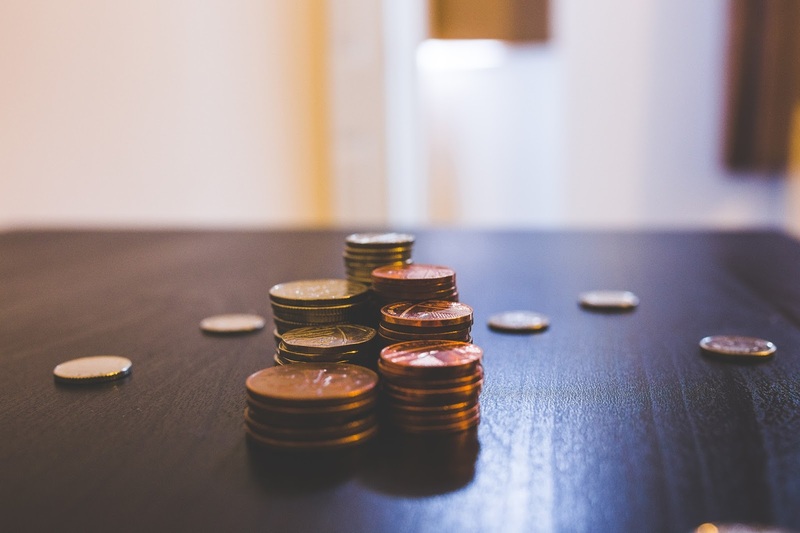 Each week I share my thrifty and frugal projects, ways of saving money, and my blessings from God. I'm running out of the house in just a few minutes on my way to the kids' homeschool co-op. Sometimes it just seems like we're always on the go. Where did the long days of snuggling on the couch for a good read aloud go? Oh well, we must embrace life as it is not as it was. A miracle from God! My friend is moving. She didn't need her stove anymore. Knowing that my glass stove top is broken, she gave me her stove! It's only one year old! And fancy! When she called to tell me, I was in tears. My old one has been broken since we bought it second hand around 15 months ago. We didn't see the crack in the top. I've been waiting patiently upon the Lord for a new (to me) stove. Recently, instead of just praying for a new stove, I thanked God for my new stove. Faith is what you believe and confess before you see it. Well I see it now! Praise God! No fee for removal of the old stove. We put it on a local giveaway site and someone came and got it. I bought two spiral sliced hams from Aldi for 50% off. I mended a pair of slacks that had a couple split seams for my husband. They'll last a little longer. When I had lunch with my friend, I chose a less expensive entree that I still enjoyed while I enjoyed her company. Hi G! 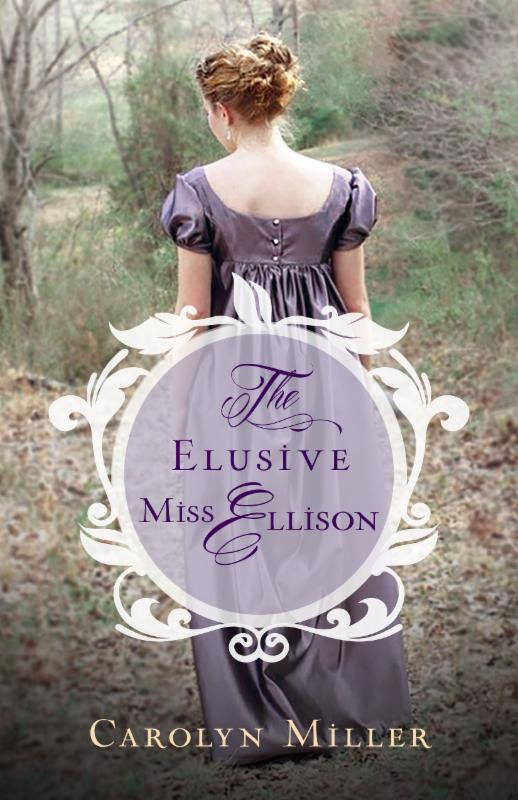 I'm still reading The Elusive Miss Ellison that I received free for review. I'm knitting a dishcloth with I Love This Cotton yarn that I bought with a 40% off Hobby Lobby coupon. I enjoy the process of knitting, but I find that I hesitate to start a big project because of the cost and my inexperience. Well, that's my thrifty week. My dear friend Ellen Kuentzel was admitted into the hospital this week. She has been diagnosed with Meningitis. She nearly died from a bout of it last Spring. Please pray for her complete recovery. *Update on Ellen: She had a major stroke Monday and was taken in for emergency brain surgery Monday night. Please continue to pray! Have a cozy weekend, and can't wait to see what you whip upon your new stove!!! Guess I'll have to take some photos Billie Jo! How wonderful that your neighbor gave you her stove! A very generous and kind thing to do. Hope you do a book review when your finished reading The Elusive Miss Ellison. I'm always looking for a good book to read. Hope your day is happy and blessed. I think you might like this one Mary. PRAISE GOD FOREVERMORE for your new stove!! Oh, He is a faithful God, and we don't always get what we want when we want it, but His timing is always perfect. Recently, He worked something out for my family and that we had been praying for...actually we had stopped praying for it, but had prayed for it previously. I sort of forgot, but He didn't! He answered prayer on our behalf, and after He did, He spoke to me and reminded me that we had prayed about this. He said, "Did it hurt you to wait?" And, truly, it had not hurt us one bit to wait. God's blessings do not spoil. I am so thankful He answered prayer for your need for a stove!!!! When God blessed us with that stove all I could think of was that song that says, "He's so good so so good to me. So good so so good to me. So good so so good to me Jesus!" I just cried! I'm so glad for your blessings. God is so good to us. Just said a prayer for Ellen, May Our Loving Father be with her. I am so very happy that God blessed you with a stove.He is amazing.. Being patient [which I have a problem with,smile] and waiting upon God, is so rewarding.. Know your enjoying it. God is so good to us, isn't he? Ah, I've seen your photo. You don't look like "old age" to me! You're welcome. It encourages me, and it's good when I go back and read my blog to see how God has been faithful. Praise the Lord for your new range! God is so good. I will remember your friend, Ellen, in prayer. I'm so excited about your stove---what a blessing!! It is so encouraging to come read your list of blessings every week. I wonder if I could slow down enough in a week to keep track? I'm gonna try it this week. I said a prayer for your friend. Hope you have a relaxing weekend! See you soon! Good for you friend! Do it! I am so excited for you & your new stove! God always finds a way to bless us, if we just let him! Enjoy my friend! Prayers for your friend Ellen, prayers & wishes for a very speedy recovery. You have been blessed indeed Laura. I love that you were a blessing to someone else as well. I also got a ham for 50% off- i should have gotten two like you. Have a great day! ​We ate one of the hams today. Yum. We might eat the other on Easter. We shall see. One is good, too! Enjoy your sparkles of joy this week! Lots going on for sure. Will say an extra prayer for your friend and very generous of your friend. Thank you so much Ginger Dawn. Last night Ellen had emergency brain surgery because of a large stroke and bleeding in her brain. No further word yet on her. Thank you for praying! And it turns out that our kids' ancient stove had bit the dust -- and they didn't tell us. They didn't have the money to replace it, either, and were very happy to get our working stove! I didn't even think to ask God about this matter. He was just kind enough to solve it for us. God is so very good to us Cindy. Happy for you all! Good to hear from you Deb. I miss you. I heard from Beth that you're in Florida now. That is so different from Montana! I think Ellen never fully recovered her strength after last year. I'd love to reconnect. My email is lauraofharvestlane at gmail.com. Be blessed! A Wonderful blessing and answer to your prayer. Praising the Lord with you! I will pray for your friend Ellen! And may I ask you to pray for my friend Ellen. She has end stage cancer that has metastasized throughout many areas of her body. Her family asked for prayer for her today, she is in so much pain. Father God, I pray for peace for Ellen. I pray for relief from pain. I ask for a miracle for Ellen. Father I pray that you will comfort Ellen and her family as only you can. I ask for healing. YOU Oh Lord are healer and creator of miracles. I ask it all in Jesus' Name. Amen. Thank you Rhonda. You continue to inspire me. Prayed for your friend, bless her heart! I was able to get take out pizza, on sale, a rare thing to buy take out here. Have been splitting meals with my husband, still enjoyed them, and had plenty. Have been doing this awhile now. Got a small money surprise in a card in the mail from a friend, just because she said😋. Used a two dollar gift card. I received in the mail, a rebate. Found a few pantry staples way at the back, and have been using them . Cleaned out several mason jars, did not realize how many I have. We no longer need that many, I will f b yard sale some of them in the summer. Used a $1.50 grocery soup coupon, another thing I rarely buy, but it saved over half the cost of it. It will come in handy, for a quickly he meal. Got a pack of reduced price cookies, another thing I rarely buy premade, but were a very good deal. Got a good price on broccoli. It will do several meals. Also got eggs for .50 cents a dozen. Will have to make cupcakes next week for my grandson's party. Scraping out the last of a hand lotion bottle. Packed the old small soap leftover to a new bar, to keep using it down. Picked up a cord off someone's old discarded tv, to strip it for the copper. Turned in what aluminum cans we had, ithe money plus the two $10.00 coupons I had, paid almost a forth of the price of a new car seat for my grand baby. Used ones are very hard to find here, and would not buy the one I found because I did not know the owner, and you have to be cautious with used seats. Picked up two pennies today, gave one away, and kept the second. I pick them up when I find them, and use them for gas money 😊. I got one at the grocery today, in my change, that had been polished and had three holes in it, someone took a lot of effort on that. I turned it back in.. It was too far gone to use. I am reading a book I received to review, and signed up this week to receive another in a couple of weeks. I printed off a couple of free sewing patterns at the library. I promised my son new work boots for his birthday, he got some he loves, and they were $49.00 off regular price. Boots cost so much! They were still very high priced! But he has to have good ones for his work. I air dried several loads of laundry outside. Always enjoy your blog, esp. the thrift ones. I love how thrifty you are Annie. You make life so much better for your family. That's a good sale on the boots. I have a son who wears 13 double wide. Impossible to find. Even 14's are really hard. That's what he usually has to wear. I think he's going to have to spend nearly $300 to get a good pair that fits, but he doesn't want to spend that much, because they get torn up at work. What a blessing!!!! Praise the Lord. I will pray for your friend. We had a guy almost die a few months back from it but God stepped in and miraculously healed him. God is in the miracle business Mrs. Chrissy. Thank you! 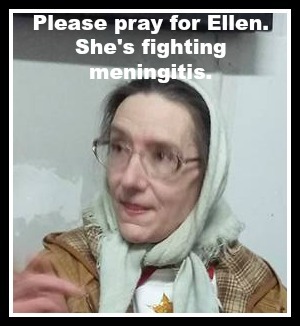 Saying prayers for your friend Ellen for a speedy recovery. I am new to your blog and am really enjoying it. Especially the birds! Thank you Laurie. Don't be a stranger! Hi Laura, I just finished reading your post and immediately prayed for your friend. Please update when you can on how she is doing. What a blessing on your new stove! I love how God knows our needs and He provides in ways that are above anything we could have ever imagined! Be blessed! She's having trouble swallowing even a bit of water, and she is mentally confused. That's all I've heard so far. God is so good if we just have that right attitude of prayer and waiting. so happy for your new to you stove! Much like the car thing with us isn't it? I will be praying for your friend. Ellen is having trouble swallowing and is confused. Great week. Congratulations on the new stove. I had no idea that glass would still work if cracked. That is the stove we have. Not sure I like. I have a couple questions and need your address. Oh wow! I'll look for the email! I didn't think I could use the glass top cracked, either, but the repairman said I could if I were very careful not to get liquid in it. I also was blessed that the actual broken part was just on one side. I don't recommend it, but sometimes we don't have a choice.